The free fall in rupee value is expected to continue in the short term, as the US starts discussions on an interest rate hike and global recessionary fears prompt risk aversion by investors, experts said on Saturday. However, a monetary easing by the Indian central bank could arrest the rupee's downward trajectory in the turbulant times. "With US Federal Reserve (US Fed) again raking up interest rate hike discussion, global equities may start off negatively in coming week and the impact will be seen in the rupee as well," Hiren Sharma, senior vice president, currency advisory at Anand Rathi Financial Services, told IANS. The US Fed did not raise interest rates from near zero levels, that it has maintained for a decade or so, during the Federal Open Market Committee (FOMC) held on September 17. Fears that it may soon announce a hike has spooked global investors. A hike in interest rates by the US Fed will send shock waves across the world's capital markets. A rate hike could potentially lead to massive amounts of pull-back of foreign funds from emerging economies like India. The US dollar will also strengthen against emerging market currencies, gold and other assest classes. High interest rates in the US are expected to wean away foreign portfolio investors (FPIs) from India. It is also expected to dent business margins as access to capital from the US will become expensive. "Markets are still in a consolidation zone, post August sell-offs... I expect, risk aversion to resume soon... Global recessionary fears are there... Talk of US Fed hike is not helping much," said Anindya Banerjee, associate vice president for currency derivatives with Kotak Securities. Notwithstanding the fears of further downward trajectory, the rupee can rely on the fact that the India Inc and global investors are betting at a cut in key lending rates by Reserve Bank of India (RBI). The RBI will decide on whether or not to ease the key lending rates during its upcoming monetary policy review slated for September 29. But a mere token reduction of only 25 basis points "won't do much" for the rupee, market watchers said. "RBI policy may not have much of an impact. Overall bias will be of depreciation," Banerjee said. According to India Inc and market observers, the rupee might require a "booster dosage" of nearly a 50 basis points cut, which will spur the recovery in both equity and currency markets. "All eyes will be on the RBI policy. Markets have already discounted a 25 bps rate-cut. Whereas a 50 bps cut can be a surprise move which will have a positive impact on domestic equities leading to a recovery in the rupee," Sharma added. The rupee continued on its downward trajectory. It fell for the fourth consecutive day against the US dollar on Thursday. 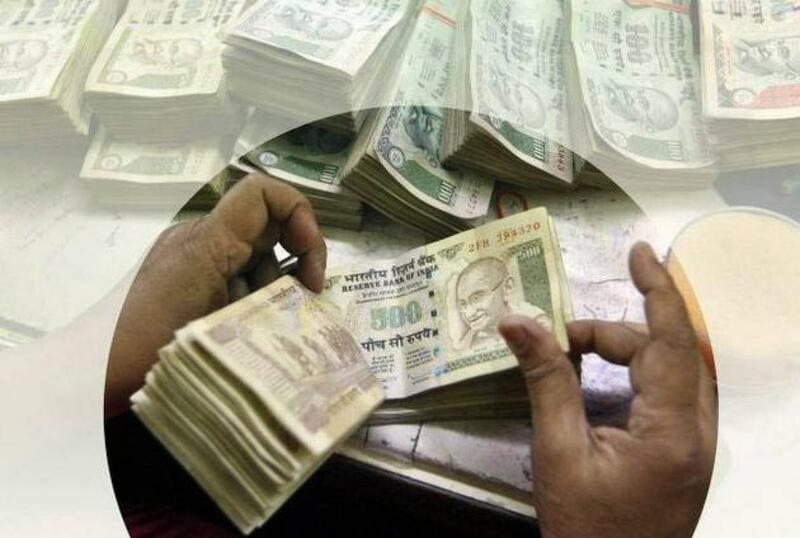 The rupee ended Thursday's trade down 17 paise at 66.16 to the dollar, aginst its previous close of 65.99.